The famous XXL Chicken (士林豪大大鸡排) made my mouth water even days before my trip. I missed my chance due to a ridiculously long queue and an unrealistic curfew during my army training trip to Taiwan, but this time I was determined to taste this epic street snack. 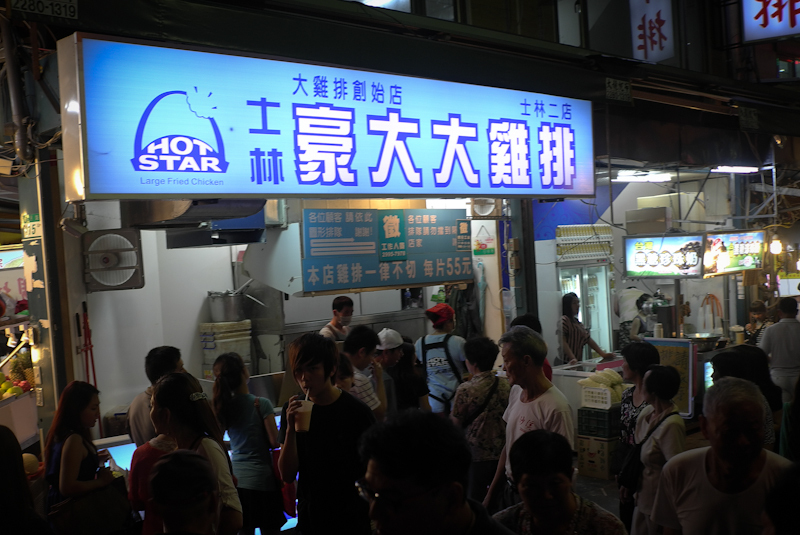 The XXL Chicken has many outlets or imitators around the world, but this store in Shilin is the original and another must-try. This shop was not hard to spot, especially with the constant queue. The shop was so busy that the staff hands out plastic bag and prepares exact change before you even reach the counter. She dumps the chicken into your open plastic bag after you indicate your preference for spiciness and hands you exact change (the chicken was priced at NT$55 so NT$100 was the obvious amount most customers would pay with). 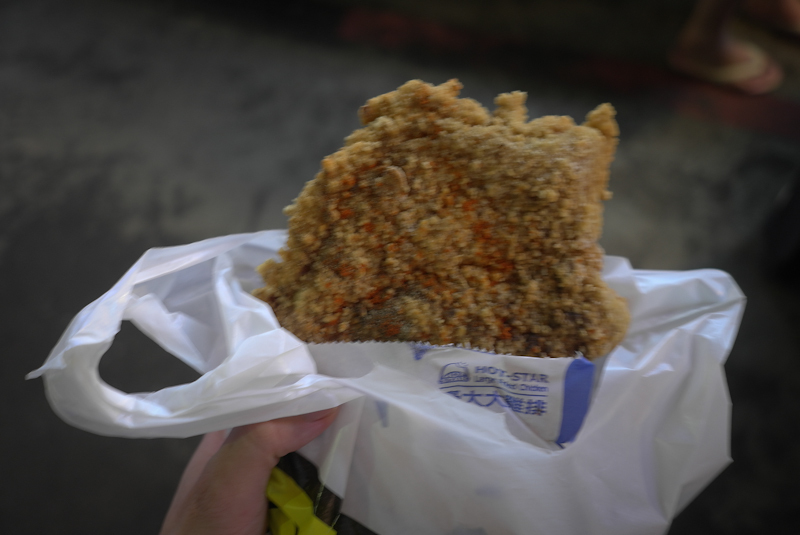 With the big piece of chicken in my hands (with a bunch of other street snacks that I bought without self-control), I ate it during my walk around Shilin. The best dim sum from Taiwan.